One of the best choices you can make as you start your college career is to live close to campus. Right on campus, even better. Because you should be spending your time being here, not getting here. STATISTICALLY SPEAKING, STUDENTS WHO LIVE ON CAMPUS ACHIEVE HIGHER GPAs THAN THOSE WHO DON’T. What are you interested in? What would you like to explore? Start strong by living in a campus community full of Lobos with similar interests. From classic coed dorm life to amenity-filled private housing. There are lots of housing options available. Which style fits your life? HOW DO YOU CONNECT TO ALL OF IT? LIVE ON CAMPUS. Residents benefit from a trained staff who design and implement events and activities based on our educational model to enhance the college experience, keeping students involved and supported. All the conveniences of campus life allow our students the opportunity to stay focused on learning. 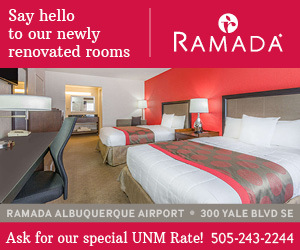 For this reason, effective Fall Semester 2018, UNM will require all first-year undergraduate students enrolled as full-time students who live outside a 30-mile radius of campus, to live on-campus.